♦♦ PLAY 2 ROUNDS AT BLUE CANYON within 7 days (1 ROUND AT BC-CANYON + 1 ROUND AT BC-LAKES) AND SAVE AN ADDITIONAL 14%. 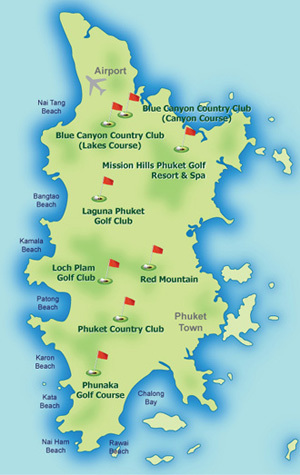 ♦ 'GOLF PACKAGE': THB 10,300/1 pax, 18,400/2 pax, 26,550/3 pax, 34,400/4 pax includes green fees, caddy fees & transfers. ♦ 'GOLF PACKAGE': 9,300/1 pax, 17,400/2 pax, 25,650/3 pax, 33,400/4 pax includes green fees, caddy fees and transfers. ♦ CARTS: Carts are compulsory at Blue Canyon-Lakes. One golfer/cart. Pay for cart rental directly to the golf club pro shop! 90 degree rule must be used to access fairways of the specific permitted holes. For holes restricted to golf carts must drive on the golf path and designated areas only! ♦ CADDY TIPS: These gratuities are NOT included in your golf package! Blue Canyon golf club recommends a caddy tip from 400 baht payable direct to the caddy after the game. 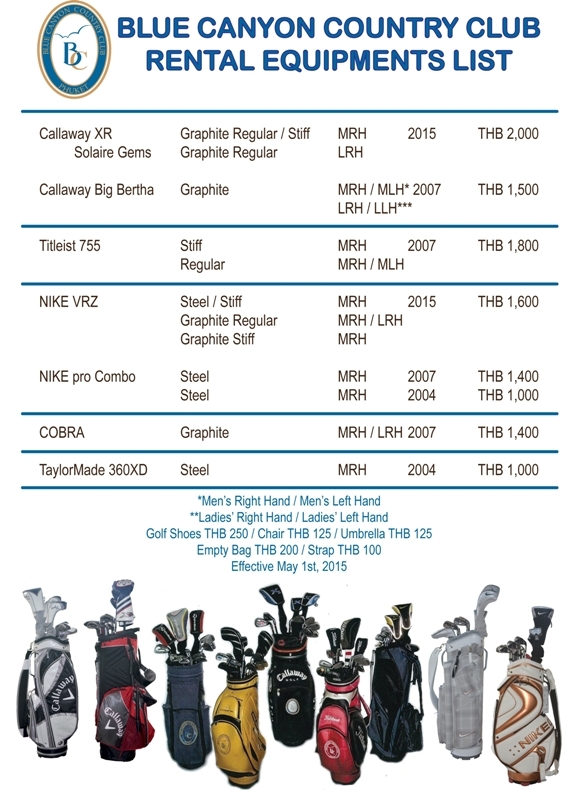 ♦ NON-GOLFERS: Non-golfers accompanying golfers must pay a 'Non-golfer fee' of 3450 baht (includes cart & Caddy) direct to the golf club. Non golfers are expected to dress appropriate to the golf course (correct golf attire). ♦ OUTSIDE FOOD & DRINKS: Food or drinks from outside sources may not be consummed at Blue Canyon premises or golf courses. ♦ RAIN CHECK POLICY: Click here for details! So much focus is planted on the Canyon Course at Blue Canyon that we forget its sister-course – The Lakes Course. 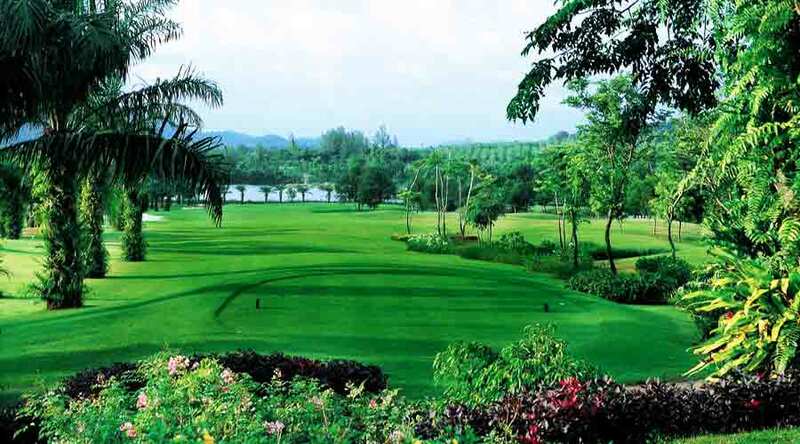 This stunning 18-hole course is one of the best on the island in its own right and is a desirable Phuket golf course to play. 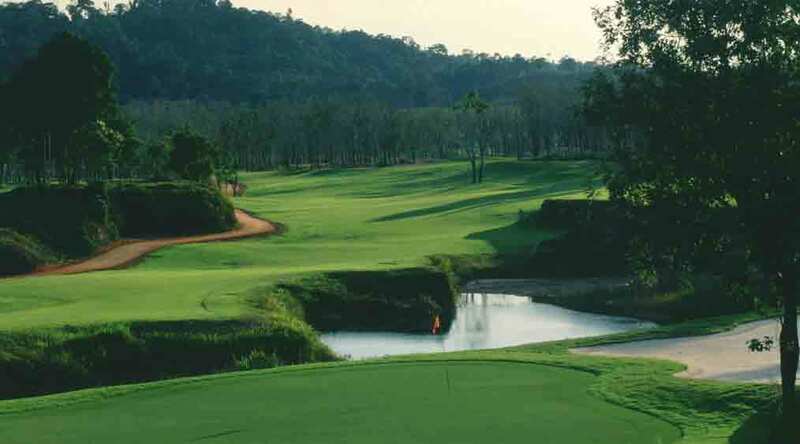 This beautiful course enjoys a mixture of water-filled canyons, wide and forgiving tree-lined fairways and fast greens, set amidst a beautiful and naturally abundant setting on a former tin-mine that epitomizes the tropical golf scene in Phuket. The course has a 72-par and was first created by golf architect, Architect Yoshikazu Kato, in 1999. 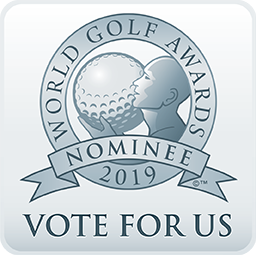 With so many years already established, the course has now fully matured into something special. Set over 7,129 yards, the course is better favored to long hitters, but anyone of any ability can enjoy the beauty and conditions of The Lakes. The aptly named course’s defenses are its water hazards that come into play on 17 of the 18 holes, so beware. The course shares its clubhouse with the Canyon Course, coming equipped with large changing areas, practice facilities, swimming pools and a spa. The onsite restaurant looks out across the course and is a great way to finish off a round. There is also a pro-shop onsite with a great choice of products. 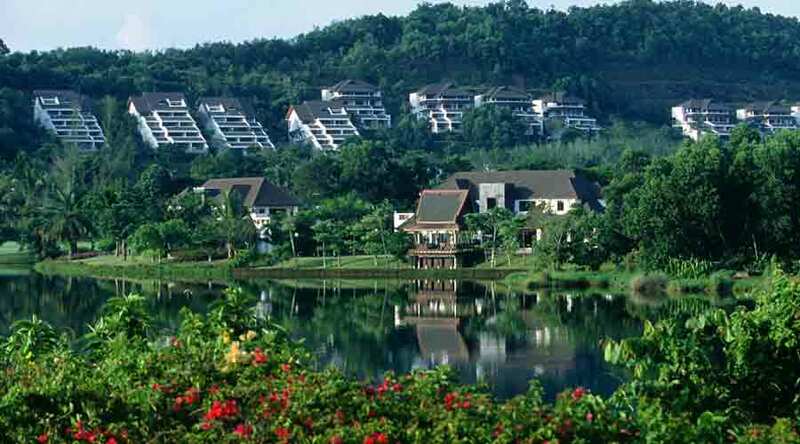 The signature hole 18 was ranked as one of the best par 4s in Asia by Asian Golf Monthly in 2003. The hole is 471 yards from the black tees and 410 yards from the blue tees, which means you need 2 good hits to get close, and with a gorge protecting the 18th green, this is not just a difficult finishing hole, but also a very aesthetically pleasing one. Distance from Patong: 35 Km.